Honesty, integrity, competence, diligence and professionalism; the pillars defined the direction of our business for 30 years. At Mississauga Auto Centre, we attempt to make you experience with us as comfortable as possible. We hope to make you feel welcome in our family business environment and establish a trusting relationship with you that we enjoy with all of our regular clientele. If your car is still under warranty, we are able to address all your non-warranty issues (scheduled services, brakes, oil changes, etc). We are members of a vast database which allow us to receive up-to-date service schedules, specifications, and technical service bulletins as the factories releases them. Schedule your next AUTO SERVICE appointment online! If you do have an issue that we find and it is covered under your factory warranty, we will offer to have your car sent to a local dealer. In addition to this, we will pick it up for you so you won't be inconvenienced. We use original parts and stock the proper fluids and oils for your vehicle so we will be ready to serve you and your vehicle. We are conveniently located only 0.8km from Clarkson GO Station and offer a shuttle service. Feel free to call or fill out our online form to schedule the shuttle and we will pick you up when you return. Mississauga Auto Centre is your one-stop shop for all of your parts needs. We have everything you need in stock, from suspension products to engine performance products to accessories such as Bluetooth handsfree technology. 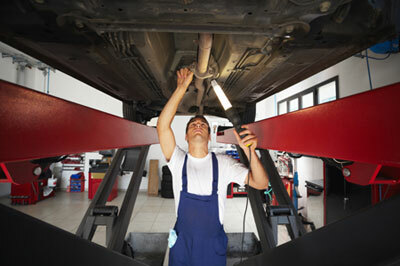 Mississauga Auto Centre boasts a fully equipped service facility. Our commitment to the latest training, investment in the latest specialty tools, computer diagnostic equipment, and range in skill of our team allows us to fully serve various makes and models including Mercedes Benz, BMW, Porsche, Audi, VW, Volvo, Saab, Rolls Royce, Bentley, Lamborghini, Lexus and Toyota, Acura and Honda. Our depth in experience also qualifies us to work on you classic Alfa Romeo, Fiat, MG, Aston, etc..
We also have a new state of the art, in-ground, 3D alignment rack, are an Ontario Drive Clean Licensed Repair Facility, and are factory direct Goodyear and Dunlop dealer. We offer detailing services, auto-body services, and have a large line of accessories. We really strive to emhasize the Centre in our company name and try to offer everything we confidently can. Our customers speak volumes about our success as a service department as we experience a high level of repeat customers due to the amount of trust they have placed in us for our years of service. Book your service appointment today and come see why the Mississauga Auto Centre is a step above in regards to quality and speed of service. The Mississauga Auto Centre has expanded to a 16-bay service centre for one reason: our commitment to our customers. All of our technicians are fully trained to handle all vehicle makes and models. Our customers speak volumes about our success as a service department as we experience a high level of repeat customers due to the amount of trust they have placed in us for our years of service. Along with our service department we also complete lots of insurance approved collision work to help get you back on the road in a timely manner. 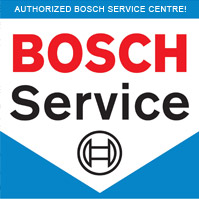 Book your service appointment today and come see why the Mississauga Auto Centre is a step above in regards to quality and speed of service.